Market Harborough-based company Video Analysis Solutions has been awarded ‘Most Innovative In-Store Surveillance Solution’ alongside its partner Oncam, at the 2015 European Retail Fraud Awards. The award signifies how the company has experienced exponential growth across the last year by supplying its highly sophisticated security and analytics systems to some of the largest retail brands both in the UK and internationally. Video Analysis Solutions’ systems provide 360° views of retail stores and distribution centres using high definition cameras to significantly improve loss and allow better analysis of customer flow and dwell patterns. Other features include functionality which allows retailers to track staff, count customers and to record demographic information, allowing for more appropriate stock allocation and optimised customer management by area. Every VAS system can be accessed remotely by PC or mobile device allowing retailers to access the footage and the analytics from anywhere in the world. This new technology in short, is the ultimate in business intelligence for retailers; created by joint owners Nigel Ashman and Martin Meakins, who have a combined experience of over 30 years specialising in Retail and IT. Here, joint owner Nigel Ashman describes how having Bray & Bray’s Senior Partner Tim Gladdle on his side as a legal partner and business advisor has been instrumental in facilitating the growth of the business, to the point where it has expanded not only across the UK, but across the world. Q: What has having a trusted legal advisor done for your business in terms of enabling growth whilst also providing security and peace of mind? A: It’s about having confidence that I’ve got back up when I need it. It’s also about having somebody to turn to for legal and business advice. Tim has obviously got a lot of experience in business and so I consider him as not just a lawyer, but also a business advisor. Q: How would you rate the service provided by Bray & Bray? A: Excellent. I have always been happy with all of the work that’s been done and all of the advice given. This is thinking about Bray & Bray in general terms – in addition to working with Tim Gladdle, I’ve also had commercial litigation work done by Tim Bennett. Through working with Bray & Bray I have come to realise that there is a lot about the legal side of business that an SME such as ours can’t ever know everything about. At times, I’ve not always been sure of the right way to proceed with something from a legal point of view, but I’ve learnt that I don’t need to worry about that because Bray & Bray will always have the answer. It allows me to focus on what I’m good at and leave the things that I’m less good at, to others. Q: Can you provide an example of when Tim has provided you with excellent business advice? A: Yes, one time in particular that stands out as being significant with Video Analysis Solutions, is during the early stages of a contract negotiation with a multiple retailer. They have an enormous amount of resources and their own large legal team. During negotiations, we were able to reach an agreement and not be brow-beaten by the customer’s legal team, because I had Tim behind me. Tim and I sat down and went through the contracts in depth. He explained everything to me and we made sense of it all so that we were able to move forward within very tight time constraints. This was absolutely fundamental as a starting point for the business because it set the tone for future negotiations with what became a very important customer. I can’t imagine what I would have done if I didn’t have someone with the experience and confidence to take on the customer’s legal team, on my side. 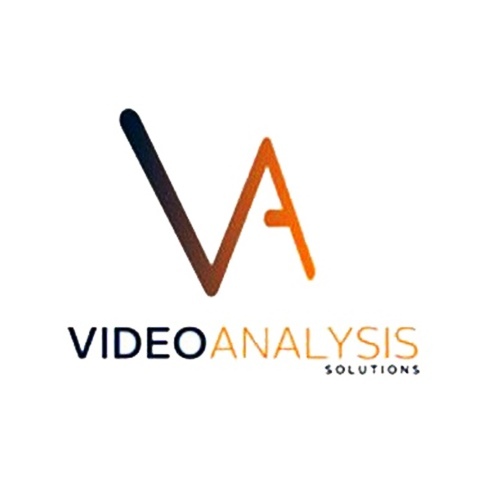 Q: What are Video Analysis Solutions’ plans for the future? A: In a nutshell, we have developed a solution that we have been able to demonstrate is very effective for retailers across the world and which has set us apart from our competitors. A VAS system will pay for itself very quickly simply in terms of the improvement in loss prevention. In addition, retailers are also benefitting from unprecedented levels of business intelligence about their customers’ behaviour and the performance of their stores, allowing them to make appropriate and timely decisions relating to staffing levels, store layout and merchandise allocation. The last year has seen an exciting period of growth and recognition for VAS but we will continue to innovate in the retail technology sector and look forward to working on new developments with both new and existing customers.